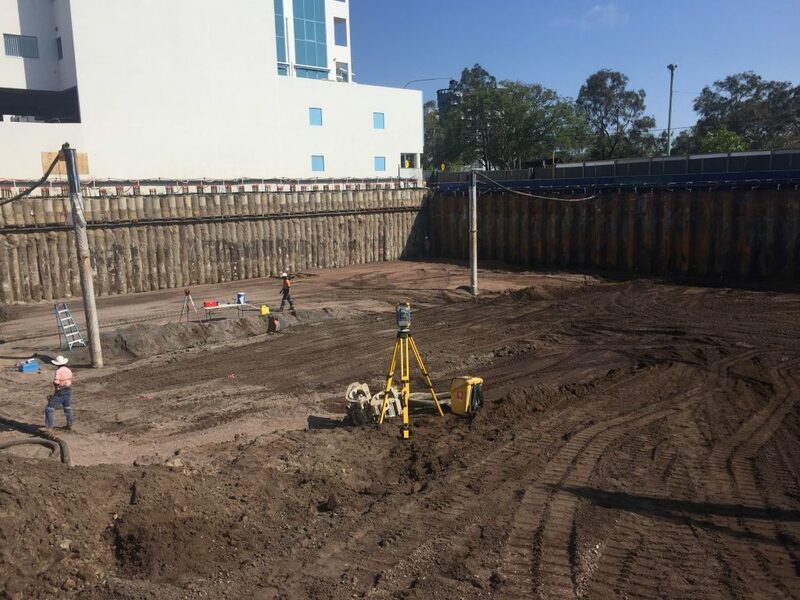 ASP Piling was contracted by Construction Control for the piling and dewatering of The Cosmopolitan in Cottontree at Maroochydore. The large parkland and waterfront site has a basement footprint that spreads two street frontages and adjoins the two towers being built. A total of 143 apartments will be spread over the two seven-storey residential towers. We provided a range of options to our clients based on engineering, cost and site requirements and constraints. 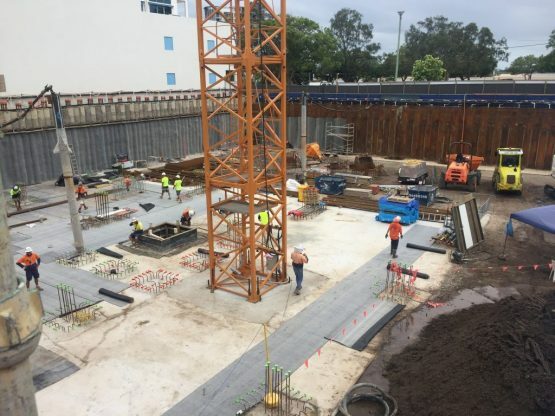 A combination of piling options was employed for the retention and foundation solutions, along with Australian Dewatering Systems site dewatering and environmental services. 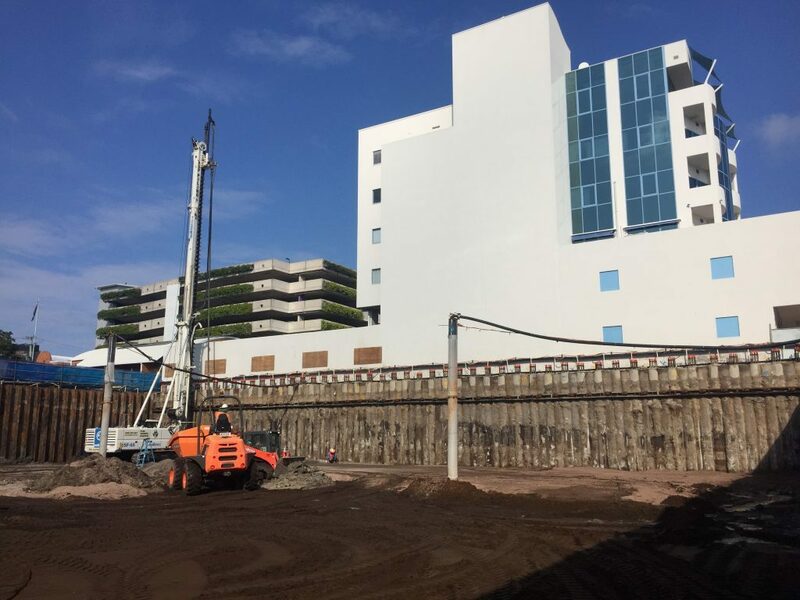 The secant piling option was used for the section of basement perimeter with a 6-storey commercial building abutting the ‘Cosmopolitan’s’ boundary. 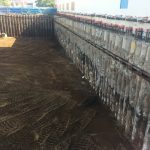 Approximately 10-metre deep scant piles were installed with temporary anchoring. 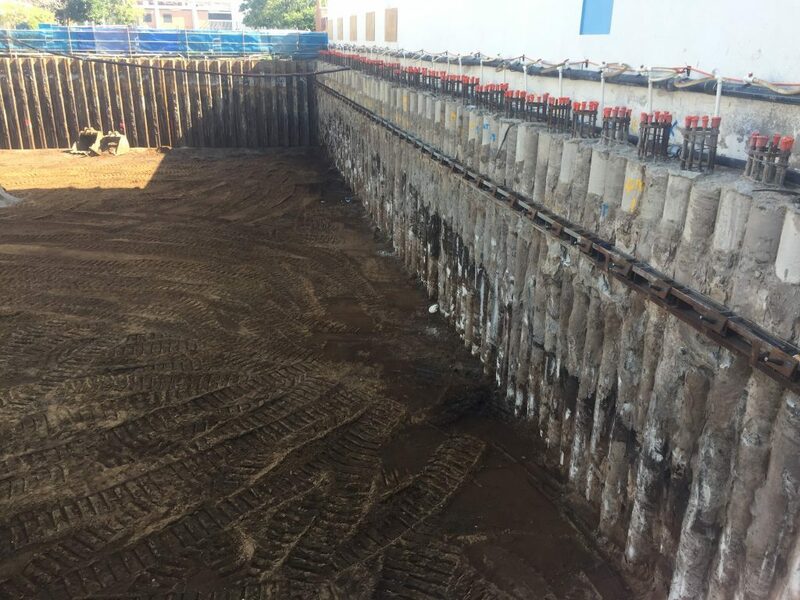 Sheet piling options were used for the remainder, a variety of depths and profiles being used based on basement requirements with the two towers having different basement depths. The sheet piles ranged from 6 metre sheets to over 10 metres long with the associated anchoring and removable whalers were used. 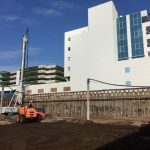 Foundation Piles were installed by ASP Foundation Piling across the site and for the crane base. Over 200 CFA piles were installed with our SF65 Soilmec piling rig. Australian dewatering systems installed a perimeter spear system around the boundary of the site. The dewatering was installed and commissioned in a staged process as the site was excavated. 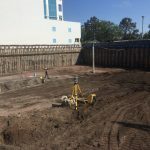 A deep well system was installed to ensure the system would cope with the dewatering requirements as the basement level was excavated below the natural water table depth. In addition to the dewatering equipment, a filtration unit and sedimentation tank were needed and based on electricity availability a fuel cell and generator for a short period. Further, into the project, an Iron Remediation Tank was needed according to the levels indicated in the monitored discharge water. As always, the site had a dewatering management plan in place and compliance monitoring throughout the discharge process.